October 13, 2012. A student of National Law School of India University (NLSIU) was abducted and raped by an eight-member gang inside the Jnanabharathi campus of Bangalore University, adjacent to NLSIU, when she was with a male friend. She bade goodbye to Bengaluru after the incident and returned to her hometown. She is not the only one – there are hundreds of cases of violence on women that go unreported for various reasons. Such mindless violence can be countered with intelligent precaution and sufficient safety measures. What if the victim had some sort of alarming or alerting system handy, that could have saved her in crisis? Wouldn’t it have been helpful for her? Thankfully, some technological innovations are available in the market, that can be handy during a crisis. GPS-enabled smartphone is a common device that can also be your best friend during a crisis. There are many mobile apps available online which can be downloaded either free or for a minimal price. 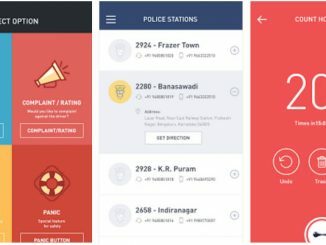 Some such apps are recommended and circulated by reputed organisations like NASSCOM and ace IPS officers like Kiran Bedi. Citizen Matters lists out some of these free apps which can be downloaded on Android and Windows mobile phones, that can come to your rescue during crisis. This personal safety app is recommended by the police across India. It has been endorsed by the Association of Chief Police Officers for its outstanding potential in preventing crime. It is also termed as a personal security platform. When the app is activated on the phone, the server will track the user, even before the message alert is sent out to the prime registered contacts. The server will also look for probable CCTV footages nearby, to collect evidence. Through this app, not only are emergency calls, SOS signals and message alerts sent, but panic alerts are also sent out on Facebook, Twitter and email. Video recording too gets automatically activated through this app on the phone, secretly. This app can be used for all types of emergencies, not only by women, but by everyone including children. Using this app, one can send distress signals, at the click of a button. The user can send emergency distress SOS signals to prime contacts and groups. Once installed, all one has to do is shake the device in case of emergency to send an emergency message, even if the phone is locked. The app will then send alerts about the location to prime contacts with accurate geographic location and updates it as the user changes location, every 300 metres for up to two hours. You can assign a shortcut key for the Hotkey on the phone home screen. When you click it during emergencies, automatic distress/customised text messages will be sent with the location. Emergency calls can also be made using this shortcut key. The option of alerts to be sent through Facebook along with GPS maps can also be selected. In case of emergencies, ‘screams’ (customizable emergency alerts) through pre-set messages can also be sent to prime contacts or groups. The user, while configuring the app, will have to submit personal details, blood group and emergency contact numbers. The police can also be intimated using this app. This app works on the mobile silently in the background. The app has been developed to help people, when in danger, especially in the time of accidents, distress or dangerous situations. Once the app is activated on the Android phone, people can add three prime personal contact numbers which could be contacted in case of any emergency. Calls can be generated to the prime contacts, just by shaking the device thrice in five seconds. The app will then call the first prime contact. If there is no response, a message will be generated with the geo-location. Then the call to the second prime contact will be made automatically. The message of your locations, will be sent to all the three prime contacts and after every 10 metres, another message of change in location will be generated. SOS alerts will also be sent by the app to the prime contacts. This security app, available for Windows 8 and Android phones, enables one to seek help from friends and relatives. The app strengthens the user with four strong e-weapons which are activated by just clicking a button. When the app is launched and the user clicks the help button, a message is sent to the 10 prime contacts, which also includes a customised message, location details and a map of the exact location. It also updates the Facebook status with the customised message which is also sent as a text message to the prime contacts. A call is also sent to the prime contacts. A loud alarm is also raised on the phone to catch the attention of the passersby. You can set up the app with the options you want to use. Through this app, one can not only send SOS message alerts and make emergency calls to the prime registered contacts, but can also enable the contacts to track your movement, to ensure that you have reached your destination safely. Incase of emergency, clicking on the emergency button in the application will automatically send messages and email alerts to the prime contacts. The user of the app has to register at the SafeTrac website (www.safetrac.in). After this the user gets an Id and password. The user also has to ensure that the GPS service is enabled on the mobile phone when the app is being launched. After the app is downloaded on the phone, it will automatically start sending GPS coordinates to the server. By logging onto to the website, one can see the trip being active on the server. The map will tell you the exact location. After the trip is completed, by clicking the Exit button, the tracking function will stop and the trip will be marked as completed. Considered to be a smart app for personal security, it can send alerts even if the emergency button is not clicked. It can send alerts if the phone has been forced power off, when signal has been lost for prolonged duration and calls fail. Sentinel sends call, email and message alerts to at least three prime registered contacts, from the server as an alternative. The alert informs about the last location of the user, the time and direction of travel. These details of the user can also be tracked on the website too. This is a quick SOS app that identifies your location and sends it to the prime contacts along with a map. Apart from the SOS alert, a pre-set SOS message is also sent to three prime selected contacts. Emergency calls can also be made through this app. This app sends alerts through messages and emails. It tracks the user’s movements through GPS and updates the server with the details, which can be sent to the prime registered contacts. The user’s exact location on the Google map will also be noted on the server. Once the panic button is pressed, SOS alerts will be sent to the server and to the prime registered contacts. Termed as a personal safety app, this is a companion when the user is travelling alone or feels unsafe. By just clicking a button on the mobile phone, prime registered contacts can be informed of the journey. The contacts will receive a message of the exact location of the user to reach out. The app also provides a list of emergency contact numbers which can be used in time of need. Through this app, text messages can be sent and can work without the internet being on. The user need not register in the server to use this app. All one has to do is add the prime contact numbers in the list after the app is installed on the phone. After installing this app on the phone, the user just has to click twice on the active button. Once done, the app will automatically send alert messages to the prime registered contacts, along with the link of the of the location. Messages will be sent from the phone every two minutes. You can also choose to get updates on the Crime Scene in India and a ‘Tips Feed’ option that gives safety tips in an emergency situation. This personal safety app, helps the user connect with the prime contacts and authorities during emergency. Here the prime contacts will also be informed of the type of emergency and the contacts can be listed accordingly. Under this app, favoured and most frequented locations can also be added like school, office and other places. While registering, the user can add personal details like her photograph, blood group, medical information and insurance details for emergency help. Conference calls can be made to prime contacts, apart from sending SOS message alerts and emails. Photographs and Google map services are also available. Though these apps are promoted as addressing women’s safety, they can be used by anyone who is concerned about their personal safety. Download any of these apps, depending upon your requirement. Don’t forget to set the call default in case you are using multiple calling options like Skype or Viber. Initiate the app on your cellphone when you are in a sensitive situation. Don’t forget to switch on your GPS or GPRS, because those help the system with information about your location. Make the best use of the features in your smartphone, to stay safe! Female bureaucrats: Balancing a tightrope walk? Most government offices are male -dominated. What is it that holds women back, that doesn’t let them follow their dreams? Tired of errant auto drivers taking you for a ride? 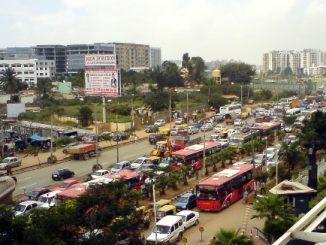 Sick of incessant honking when you are stuck in traffic? You can easily report it to the Traffic Police now! It is incredible to see how far we have come. These apps are going to have a big impact on reducing violent crimes against women and others. As a developer I am extremely pleased to see development of programs / software that helps people.